Dr Steven Mahan is a Senior Clinical Psychologist with extensive experience in varied areas of clinical psychology, specialising in adult mental health, neuropsychology, and health psychology. He has worked with clients of all ages with a wide range of emotional difficulties including depression, anxiety, panic attacks, personality disorders, social anxiety, obsessive-compulsive disorder, phobias, eating disorders, work-related stress, health anxiety, substance misuse, and sleep disorders. Dr Mahan has extensive experience working with clients with relationship and interpersonal difficulties and those struggling to come to terms with a sudden and unexpected life event. He has a special interest in long-term, complex health conditions, medically unexplained symptoms and their associated mental health difficulties. He also has comprehensive experience working with clients who have complex relationships with food, eating, and obesity, and has supported many clients in achieving and maintaining weight loss. 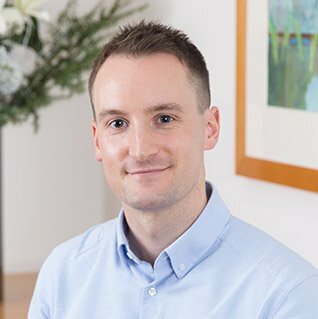 Dr Mahan obtained a BSc in Psychology with first class honours from the University of Plymouth, he then completed his MSc in Neuropsychology at the University of Bristol and was awarded his Doctorate in Clinical Psychology from the University of Exeter. Dr Mahan has also published research in international scientific journals.